A short How To video on sealing the back side of Reverse Gilded glass Panels. 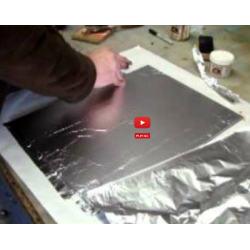 Learn how to seal the back of reverse gilded glass sign panels and mirrors or art glass. Advanced techniques are available through advanced workshops, and at Gilders and Letterhead Gatherings.